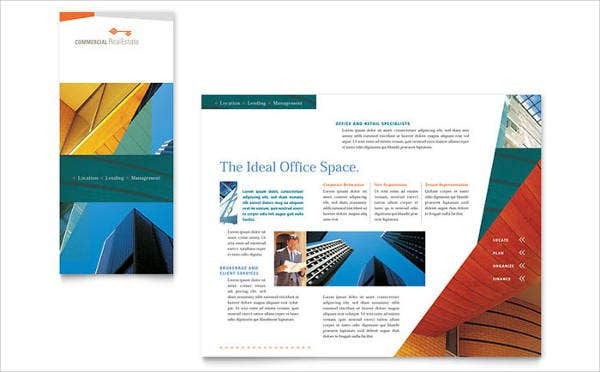 It is very important for properties to present themselves, especially in the marketing and advertising tools and materials that they use. 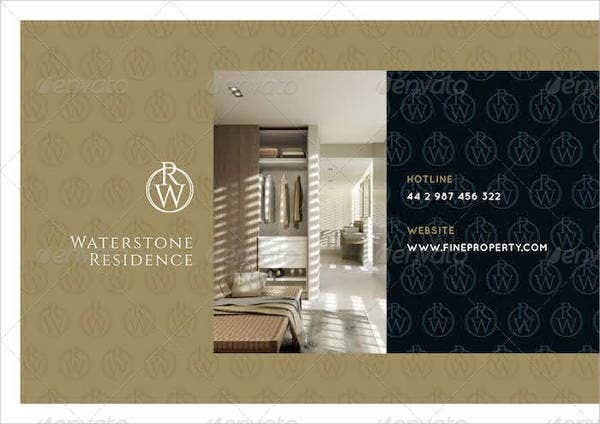 It is very essential for these items to uphold the reputation of the company as these are the references of the people in terms of selecting a property that they want to invest in. 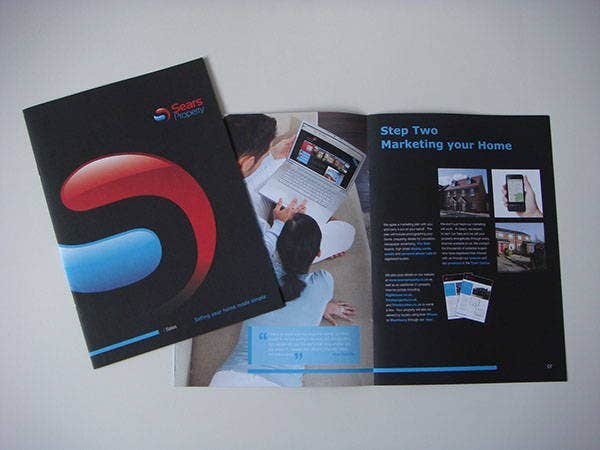 An example of these tools is a property brochure used by companies during trade fairs, conventions, and in other marketing and advertising activities. 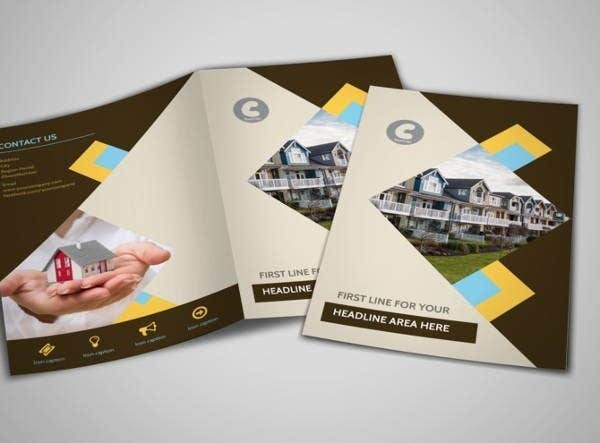 We can provide you with property brochures and Real Estate Brochures Templates for whatever specific purpose that they may serve. 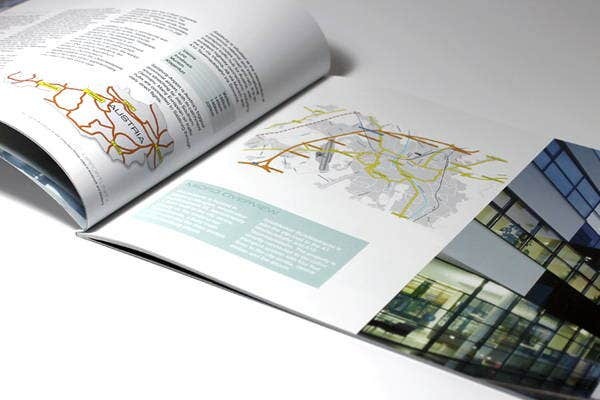 You can use a geographical map where interested customers may see the proximity of the location to other areas of the country. This is very essential as there are people who buy properties for leisure but there are more people who buy such to make their everyday functions easier. Being able to point out that your property is in a location that is near to the places where they need to go to especially if the travel is routinary will give more impact to the client especially in his or her purchase-decision process. You can also list down all the public places and establishments that are near your location. You can specify the schools, hospitals, restaurants, parks, malls, health and fitness gyms, market places, and other establishments that are commonly needed to be visited either every day or during emergencies and special purposes. 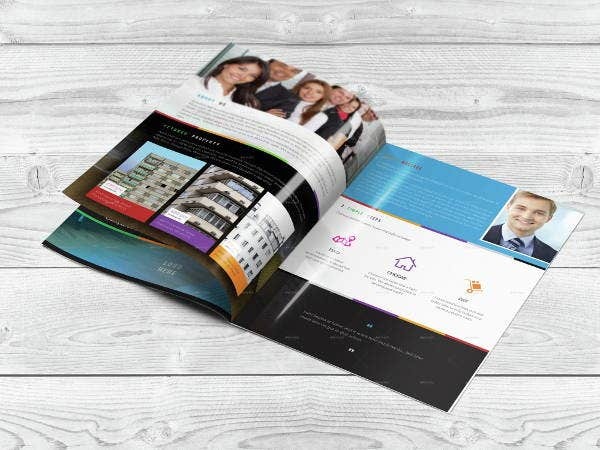 This will give more practicality in terms of selecting your property for an investment as it can give the client a location where all the basic necessities are present or just nearby. 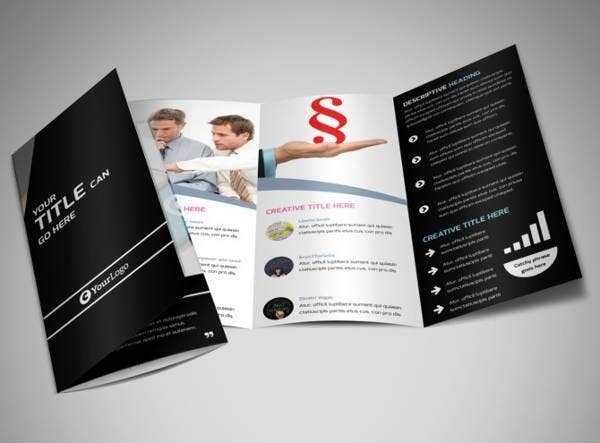 Other than our property brochure templates, you may also download our Free Brochure Templates, which may be used in presenting different businesses, products, and service offerings. 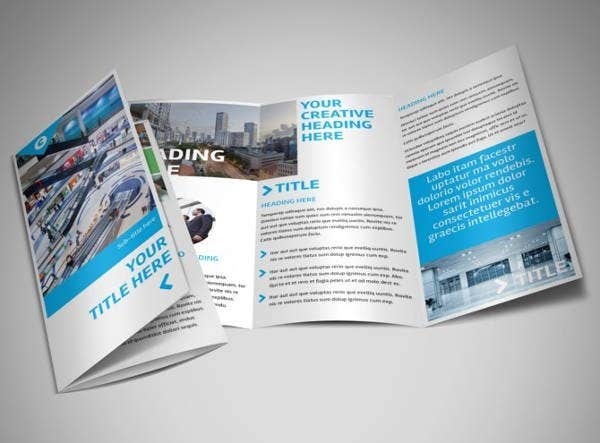 Start with the cover of the property brochure and include the name of the property and the developer of the property. 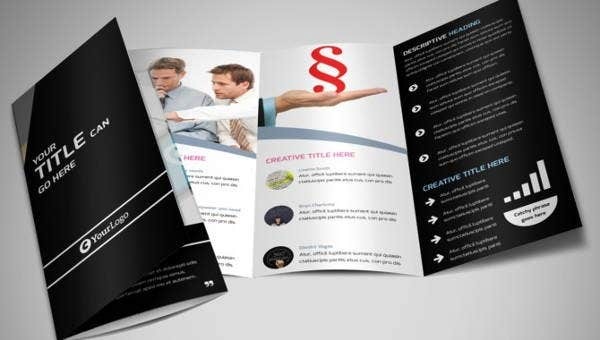 Make sure that all the items that you are to put are accurate especially the spelling of the titles. 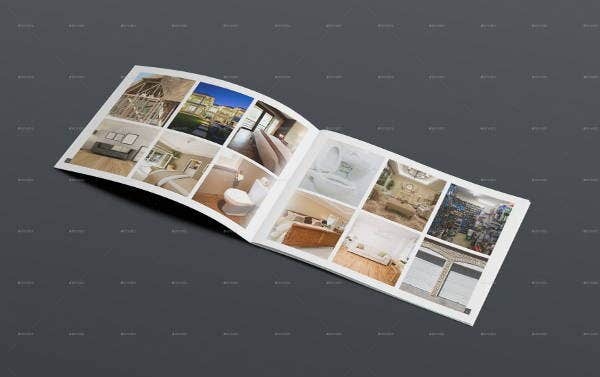 The photographs of the property is also very essential as it will already give the clients an idea of what they can expect in terms of the property being sold to them. Make sure to use the real photographs of the property and assure that the property is as good as the photograph being presented. 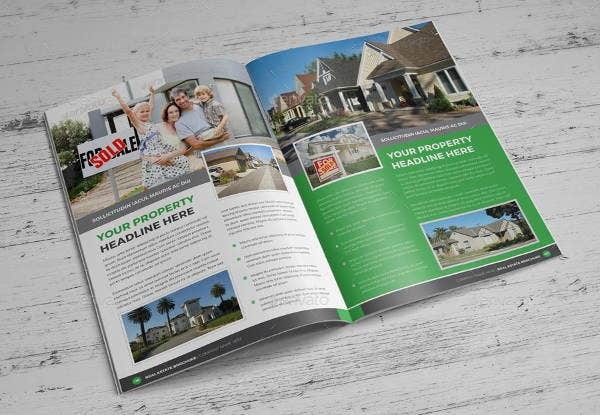 All the details of the property that makes it stand out must be included in the property brochure. 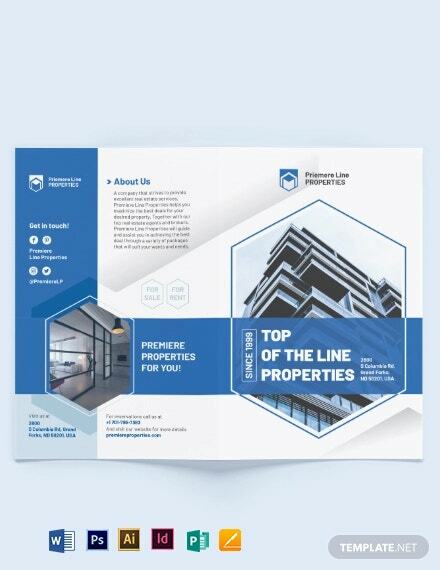 It should be the selling points that should be highlighted in the brochure as it is where the clients will look for references with regards to the property. 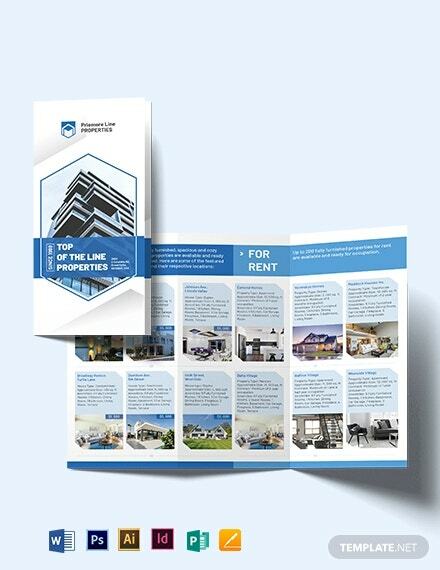 Make sure to add descriptions of the property, its advantages should it be used as an investment, the benefits that the clients may get should they get the property, and other points that can convince the clients that it is a great buy. Moreover, you can also provide a glimpse of the terms and conditions in buying the property, which can include the price of the property and the payment terms that is attached to it. 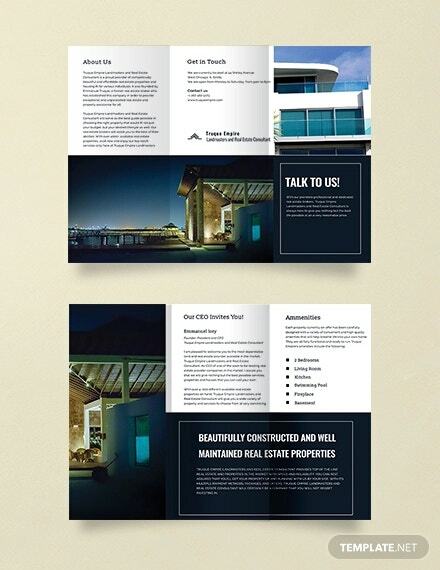 Aside from our property brochure templates, we also have samples of Construction Company Brochures.